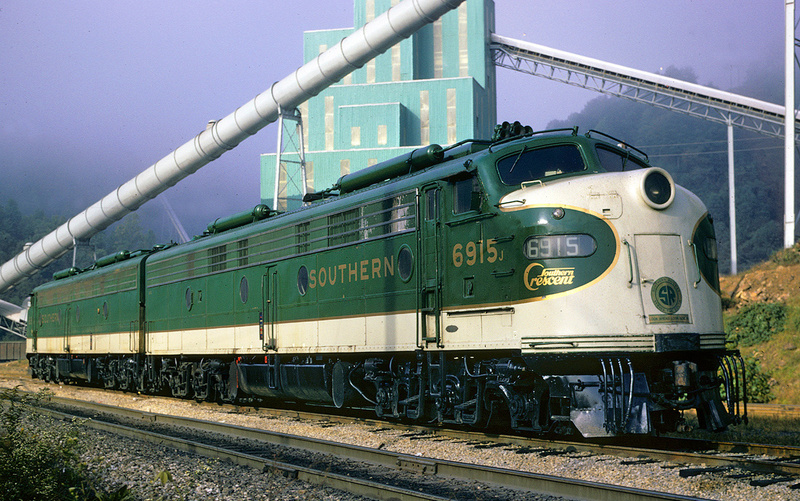 Once containing more rail lines than any other southeastern state, Georgia's history with the iron horse is both rich and diverse. It was served by several famous names (Southern Railway, Louisville & Nashville/Nashville, Chattanooga & St. Louis, Central of Georgia, Atlantic Coast Line, and the Seaboard Air Line) and which connected many important cities. Today, the Peach State includes an assortment of museums and tourist train rides aimed at highlighting this interesting part of its past. There are popular excursions like the SAM Shortline, Stone Mountain Scenic Railroad, and Blue Ridge Scenic Railway while museums house important links to the past. There is perhaps none more paramount than the Southern Museum of Civil War & Locomotive History located in Kennesaw, Georgia, an organization which houses the General. This 4-4-0 took part in the legendary "Great Locomotive Chase" during the Civil War. 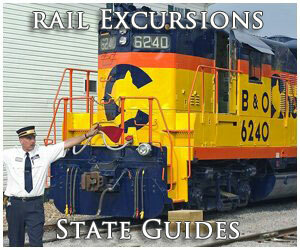 The information here offers gives a brief overview of the state's tourist trains and museums. Please note! 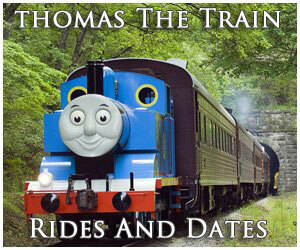 The guide here pertains only to train rides related to vacation and tourism destinations. If you are interested in intercity/long distance rail travel please visit Amtrak's website. Railroading in Georgia began largely under duress. When the South Carolina Canal & Rail Road Company's (SCC&RR) opened its 136-mile route from Charleston, South Carolina to Hamburg (directly across the Savannah River from Augusta, Georgia) in October, 1833, Savannah business leaders worried trade to their city would be greatly hampered. At the time the SCC&RR was the longest railroad in the world. It soon became apparent this new form of technology was the future in transportation. As Richard Prince points out in his book, "Central of Georgia Railway And Connecting Lines," the city chartered their own Central Rail Road & Canal Company on December 20, 1833 for the purpose of connecting Savannah with Macon. In 1835 it was renamed as the Central Rail Road & Banking Company of Georgia. After eight years of work the 191-mile route was largely complete (it later became the modern Central of Georgia Railway). In the succeeding years thousands of miles were laid down across the state with the Southern Railway offering the densest coverage (it would later acquire the Central of Georgia). According to the book, "The Routledge Historical Atlas Of The American Railroads" by author John F. Stover, Georgia's mileage peaked during the 1920's at over 7,300. Following increased competition from other transportation modes (highways and airliners), mergers, and bankruptcies this number dropped by more than 39% over the next several decades. 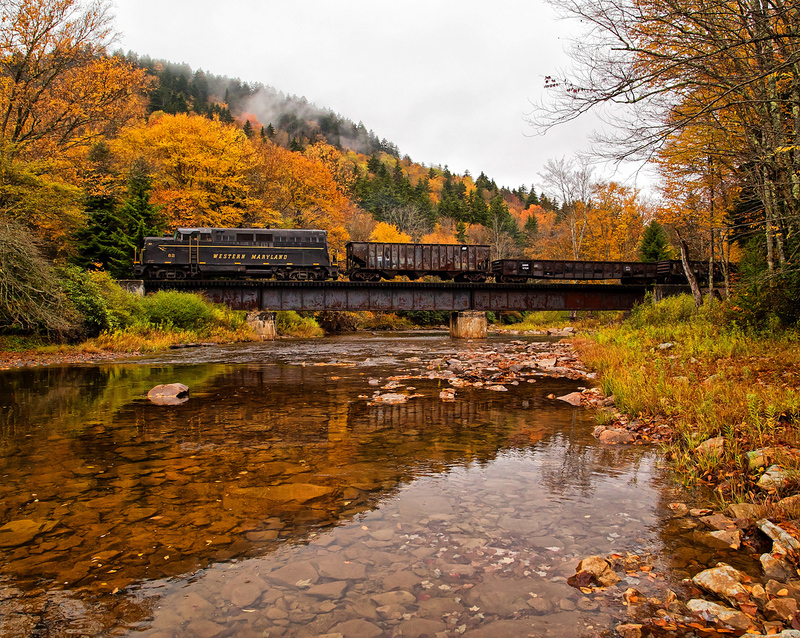 Today, according to the Association of American Railroads, the state contains 4,422 miles of railroad. 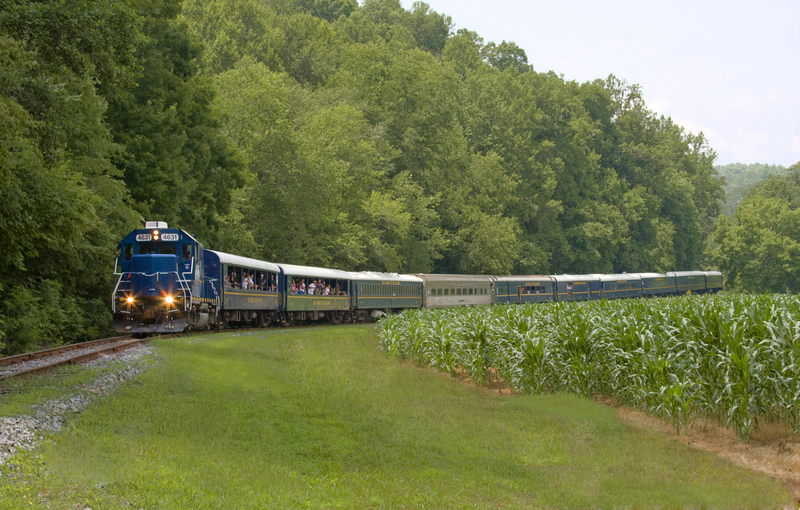 Among the available rides available, only the Blue Ridge Scenic Railway operates an historic component of famous rail line, in this case Louisville & Nashville's fabled "Hook & Eye" north of Atlanta. It has also become the state's most popular, providing not only wonderful scenic views of the Blue Ridge Mountains but also offering several excursion options. The SAM Shortline should also be mentioned as they offer guests many events and specials throughout the year. One of the most popular tourist railroads in Georgia is the Blue Ridge Scenic Railway (BRSR), an independently operated attraction which acts as a division of the Georgia Northeastern, a successful short line freight carrier. The BRSR is located in the state's northwestern mountains and operates over 13 miles (26-mile round trip) of a former Louisville & Nashville branch line that was originally part of the Marietta & North Georgia Railroad, the famed "Hook & Eye." It all began with the chartering of the Ellijay Railroad was chartered in 1854. After years of inactivity it came under new ownership in 1867 and renamed as the Marietta & North Georgia. After another 20 years of starts and stops it was completed from Marietta to Murphy, North Carolina in 1887 (107 miles). The current operation has become quite popular since it opened to the public in 1998. Part of its success is thanks to the Blue Ridge Mountains' breathtaking scenery; another is due to the many different special trips and events hosted throughout the year. This museum, based in Tifton, preserves the early history of Georgia's agriculture industry and what it was like to farmstead in the 19th century. They also have an operating tourist train on-site pulled by an authentic, narrow-gauge steamer (3-foot). This locomotive, carrying a small 0-4-0ST wheel arrangement, was built by the Vulcan Iron Works of Wilkes-Barre, Pennsylvania for the Rinehart & Dennis Company in February, 1917. In addition, one other narrow-gauge locomotive can be found there, 0-4-0 #2 built for the Raritan River Sand Company by the H.K. Porter Company in January, 1925. Finally, a scale locomotive (16-inch) is stored at the museum; 2-4-0 #721 was built by Arthur Mobley in 1924 as a replica of the locomotive involved in the Montparnasse derailment that occurred on October 22, 1895. The little locomotive was also featured in the film Hugo. To learn more about the museum please visit their website. The Georgia State Railroad Museum (previously known as the "Roundhouse Railroad Museum") is based inside the Central of Georgia's old roundhouse and shops in Savannah. The significance of this facility cannot be understated as it was completed in 1853 (nearly 10 years prior to the Civil War's outbreak). Along with the aforementioned buildings other structures preserved on-site include part of the machine shop, tender frame shop, blacksmith shop, boiler house, storehouse, lumber and planning sheds, coach shop, paint shop, and a section of the original carpentry shop. According to their website the facility, "is believed to be the largest and most complete antebellum railroad repair facility still in existence, in the world." They also house quite a collection of preserved steam locomotives, including Macon Iron & Paper Stock 0-4-0T #30 which is operational (manufactured by Alco's Roger Works in 1913). The museum is open nearly year-round except on major holidays. This museum is located in Waycross and aims to preserve local history, ranging from Native American heritage to the first courthouse in Waycross. The organization specifically highlights the counties of Atkinson, Bacon, Brantley, Charlton, Clinch, Coffee, Pierce, and Ware. Of their many display pieces are three examples of rolling stock and 2-8-2 #9 (named "Okefenokee Chief"), manufactured by the Baldwin Locomotive Works in 1912 for the Rockton & Rion Railway. This historic short line operated a 12-mile stretch of track in Fairfield County, South Carolina. Its purpose was to serve the Anderson Quarry where it hauled sand and gravel back to a connection with the Southern Railway and Rockton. 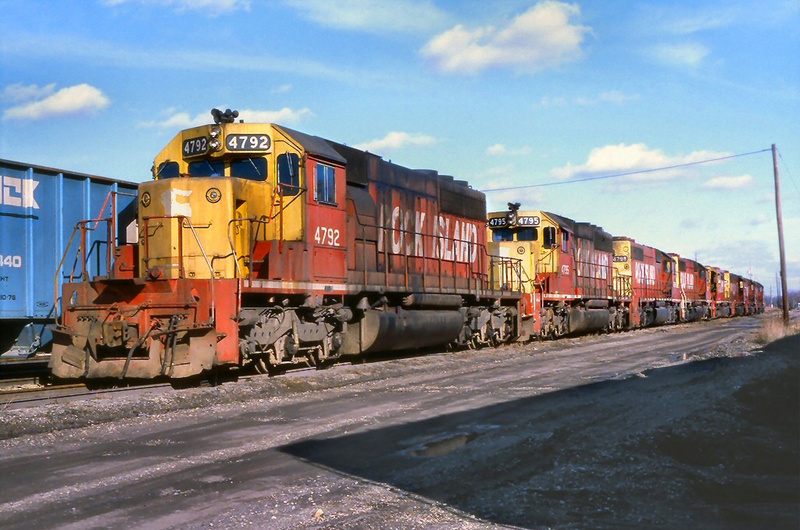 After many years of service freight operations ceased on August 21, 1981. Today, the South Carolina Railroad Museum owns the entire 12-mile right-of-way and has placed 5 miles back into service for excursions available to the public. 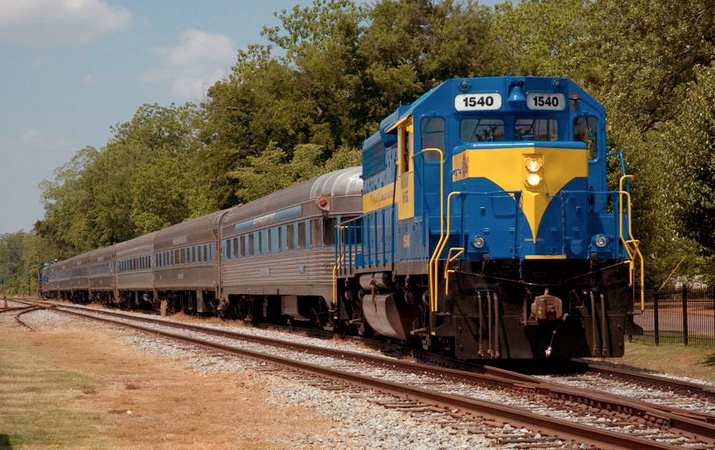 The SAM Shortline Excursion Train is a beautiful operation that features nearly a 70-mile round trip along a former Seaboard Air Line corridor that passes five small towns (Cobb, De Soto, Leslie, Americus, and Plains) between its home base of Cordele and Archery. Of these, stops are made in Leslie, Americus, Plains, and Archery where passengers can disembark for a short time. The excursion also skirts the Georgia Veterans State Park while other sites include Lake Blackshear Resort & Golf Club, Rural Telephone Museum (Leslie), Habitat for Humanity’s Global Village (Americus), Café Campesino (Americus), Rylander Theatre (Americus), Windsor Hotel (Americus), President Jimmy Carter’s Campaign Museum (Plains), and President Carter’s childhood home (Archery). 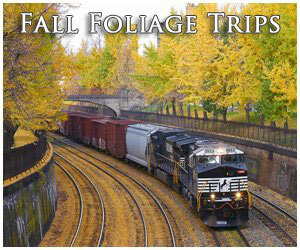 The tourist train also hosts a number of special trains and events throughout the year. This Southeastern Railway Museum is one of Georgia's preeminent facilities. It is located in Duluth and houses a large collection of rolling stock and various railroad displays; so large, in fact, that no other museum in the state can boast such an impressive fleet of preserved steam locomotives. None of these iron horses are operational although it is said that Atlanta & West Point 4-6-2 #290 (manufactured by the Lima Locomotive Works in 1926) is currently under restoration. Other notable steamers on location include an 0-4-0F (fireless) built for the National Cash Register Corporation by Lima in 1913 (named Dayton it carried no number), Richmond & Danville (Southern) 0-4-4RT #1509 (named Maud it was manufactured by Burnham, Parry, Williams [Baldwin] in 1880), Georgia Power 0-6-0T #97 (built by H.K. Porter in 1943), Gainesville Midland 2-10-0 #203 (manufactured by Baldwin in 1928), Chatahoochee Valley 2-8-0 #21 (built by Baldwin in 1924), Red River & Gulf 4-4-0 #104 (named the General II it was built by Baldwin in 1919), Savannah & Atlanta 4-6-2 #750 (built by American Locomotive in 1910), and Campbell Limestone 2-Truck Heisler (55-ton) #9 manufactured in 1923. They also offer excursions throughout the year. As its name implies this museum, located in Kennesaw, tells the history of the Civil War and how it affected the South. They also bring to light how railroads aided in the war. Their most famous piece is one of the country's most famous locomotives, the 4-4-0 "General" involved in the legendary "Andrew's Raid." Otherwise known as the "Great Locomotive Chase" this event has unfolded during the early years of the Civil War. It was an attempt by Union forces and sympathizers to destroy railroad infrastructure north of Atlanta, Georgia in hopes of eventually capturing the strategic city of Chattanooga, Tennessee. The celebrity locomotive was owned by the Western & Atlantic Railroad. The "American" 4-4-o was commandeered by James Andrews himself (leader of the raid) and used throughout the chase where he traveled northward from Atlanta causing as much damage as he could. Unfortunately, the hasty Union plans were too slow and disorganized to cause serious damage and most of those involved were eventually captured. The St. Marys Railroad is long-time, short line freight carrier serving the local region around St. Marys near the coast. 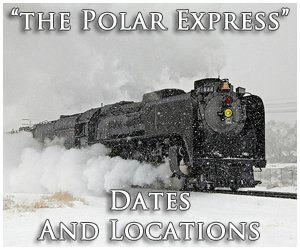 However, recently they have branched out into the excursion business and now host a various selection of train rides throughout the year, some of which are special events. To learn more please visit their website by clicking here. 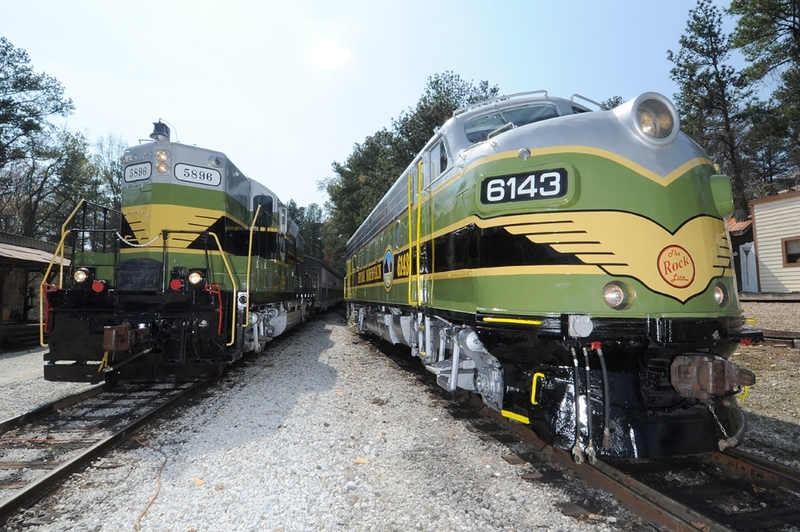 The Stone Mountain Scenic Railroad is part of the Stone Mountain Park providing trips through open-air cars over about 4 miles of track. The equipment sports a gorgeous livery of green with grey with yellow trim that is loosely based from the historic Central of Georgia's design. The history of this tourist line is quite interesting. Unlike most such organizations which have reused would-be abandoned, mothballed, or dormant main lines or branches the Stone Mountain route is actually a former spur. This term usually describes a very short stretch of track departing from a main line to serve an industry or some other type of customer. In this particular case the tracks were constructed just after the Civil War by the Stone Mountain Granite Company to serve quarries at base of Stone Mountain. Relatively long for a typical spur it was nearly 4 miles in length and swung around the mountain, connecting with the Georgia Railroad's main line in Stone Mountain. This history museum, based in Albany, generally looks to preserve the history of town and surrounding region. Today, it is known for its historic preservation (including the History Museum, Georgia Museum of Surveying & Mapping, and South Georgia Archives Research Center) and science departments (which include the Wetherbee Planetarium and Science Museum). It began in 1974 when it was formed as a a 501(c)(3) not-for-profit organization for the purpose of preserving the city's union station which was in danger of being demolished. This facility had been completed in 1912 (constructed of brick) and was used for many years by the Central of Georgia, Seaboard Air Line, Atlantic Coast Line, Georgia Northern, and Albany & Northern. Of their featured railroad exhibits be sure to see a small collection of rolling stock and a preserved steam locomotives, Georgia Northern 4-6-2 #107, a 1911 product of American Locomotive. Indoors you can also find an operating model train layout.